These instructions will walk you through how to use Google Closure Templates with your own closure set up, using goog.require and goog.provide. First make sure you know how to use goog.require and goog.provide for your own code. Where the Google Closure Library source code lives (closure-library-read-only/closure/goog/). Where your application’s code is. Where you’ll put your .soy files. When you generate your template files use the –shouldProvideRequireSoyNamespaces parameter to make sure you add the correct goog.provide and goog.require statements. When you call the template compiler be sure to make sure it’s putting them into the right place (/media/js/app/templates). as your namespace. This file should create a “hello_world.js” by the generator (/media/js/app/templates/hello_world.js). You can view the character codes for the ASCII table on any unix or linux system easily by simply looking in the man. Squiggly is Adobe’s Spell Checking software for Flex and Flash applications, and it just so happens that you can use the spell check engine in AJAX Adobe AIR applications. That is if anyone out there except for me is using AJAX to make AIR Applications. Sometimes I wonder, you know. Rename the SpellCheckEngine.swc to use the .zip extension and unzip it. Recover the library.swf from the package and put it in your application (maybe rename it too). Add a script tag for the library.swf resource obtained from the SpellCheckEngine as outlined in these instructions. From the Squiggly packaged find the ‘usa.zwl’ dictionary file in the Dictionary directory and place that in your application source code. Check out the example code included in the Squiggly package for how to get suggestions. If you want a nice UI for rich text editing think about using a div with contentEditable set to true. No assumptions. One file. Easy to use. This framework will require nothing other than one file. You can test in a browser or on the command line using Rhino, this framework is agnostic on the issue. Achaean’s flexibility will let you use it as part of a build script to ensure required tests pass before building or packaging for production or staging. Simple methods, simple set up. Just download the file, look at the few simple steps involved and start writing your tests within minutes. 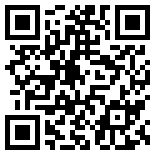 Here’s the code. Feedback welcomed. Check out the project page for more info. 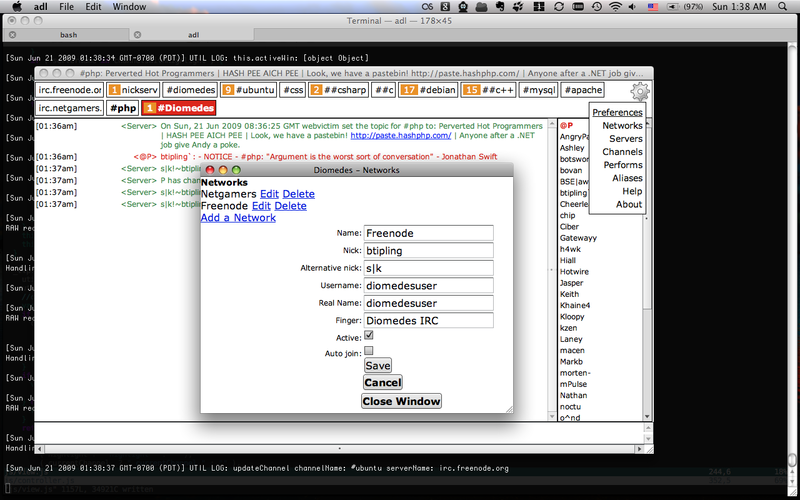 Got Diomedes IRC approved for the Adobe AIR Market place! Next I’m going to work on a game, possibly using canvas. Looks like that will be a lot of work since drawing on a canvas is really low level drawing basic shapes and lines. Animation consists of clearing and redrawing the canvas. Yeah. I’m going to make a more recent download available soon at apphackers.com The version that’s available now on that site is very old and buggy. I don’t recommend using it! There is a solution however! Use setTimeout with a wait time of 0 to attempt to check the box, and it will work!